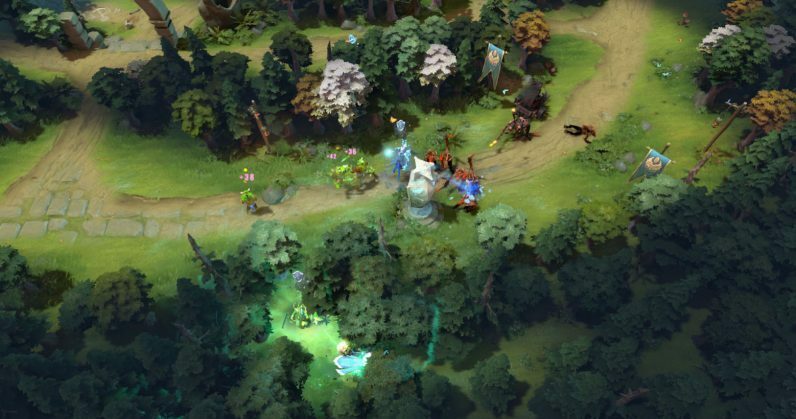 A bot team created by OpenAI, an artificial intelligence research firm funded by Elon Musk, obliterated semi-professional players of the online multiplayer video game Dota 2. The firm’s Dota 2 team of bots – OpenAI Five – took on semi-professional players ranked in the 99.95th percentile in the world, and beat them 2-1 in a set of three games. The human players included former Dota 2 professionals and casters Merlini, Fogged, Cap, and Blitz. After winning the first two games comprehensively, OpenAI let the audience pick five human players to compete in the dead rubber match which it lost. This is not the first time bots engineered by OpenAI managed to defeat human players in the immensely popular MOBA game. It has trounced top players in one-on-one competitions, as well as upcoming amateur teams. The clutch of five neural networks that make up OpenAI Five trains using 128,000 CPUs to play 180 years’ worth of matches on a daily basis against themselves. Through such reinforcement learning, the clutch of networks cooperate with each other, build ‘team spirit’ and take down its in-game opponents. The firm has also been tweaking the neural networks, altering the bot team’s in-game reaction time to near human levels, and helping it learn additional strategies. The latest victory for OpenAI Five is a positive step towards the firm’s goal of competing against the best proteamat The International which is the largest annual Dota tournament in the world. This year’s event is set to take place between August 20 and 25 in Vancouver. Following the victory, Musk tweeted congratulating the OpenAI team.